Got great test scores? Looking for a great part-time job? The Princeton Review is now hiring teachers and tutors for all subjects, all across the country. So if you’re motivated, energetic and interested in making a positive impact on the lives of students, we have the perfect job for you. 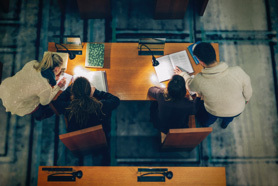 What are the perks of teaching or tutoring for The Princeton Review? Most of our classes and tutorials take place on nights and weekends. This means you can still hold on to your full-time job, school commitments or other opportunities. In fact, many of our teachers and tutors work or study full time. Simply give us your availability when you start, and we’ll work with you. Skip the commute! Tutoring students online, or teaching online classes allows you to teach from any quiet place with a stable, high-speed internet connection. Our training ensures you will teach and tutor with confidence. Our industry-leading technology and materials guarantee you and your students the most effective and up-to-date prep available. There’s plenty of room to grow within the company by cross-training in multiple subjects, proctoring, tutoring and teaching in person and online, and more. Learn more about international teaching opportunities. We are not just test prep. Our teachers and tutors are sometimes the difference between students getting into their dream colleges or their safety schools, and that means a lot. By working with us you will enrich the lives of thousands of students. We encourage all applicants to start by submitting an application, though if you have questions about teaching for us, please email us at prep@review.com or call 1-800-865-7737 . In addition to teaching, you have the opportunity to proctor our student exams on Saturdays and Sundays. Proctoring involves monitoring and timing students as they take their exam, and returning the tests to the main office in a timely manner. In short, it’s easy! All qualified applicants will receive consideration for employment without regard to age, race, creed, color, national origin, ancestry, marital status or sexual orientation.